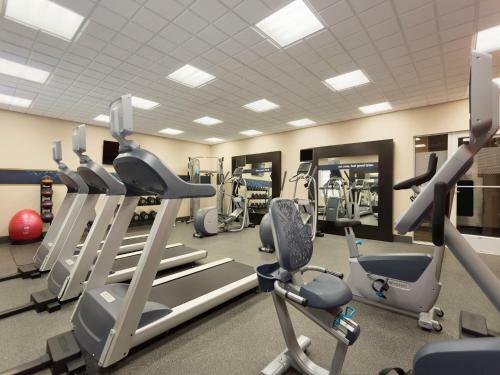 Offering an indoor pool and a fitness centre, Hampton Inn and Suites Parkersburg Downtown is located in . Each room here will provide you with a TV, air conditioning and cable channels. Complete with a microwave, the dining area also has a refrigerator. Featuring a bath or shower, private bathroom also comes with a hairdryer. 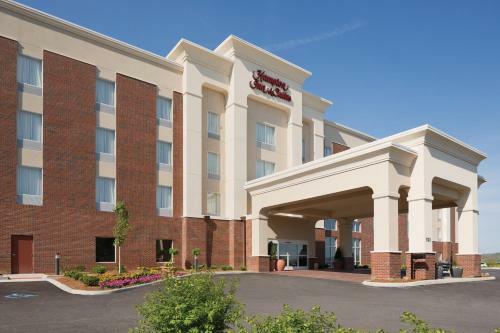 At Hampton Inn and Suites Parkersburg Downtown you will find a 24-hour front desk. The property offers free parking. the hotel Hampton Inn and Suites Parkersburg Downtown so we can give you detailed rates for the rooms in the desired period.